We’re excited to introduce our first quarterly charity drive/activity at Blown Away! 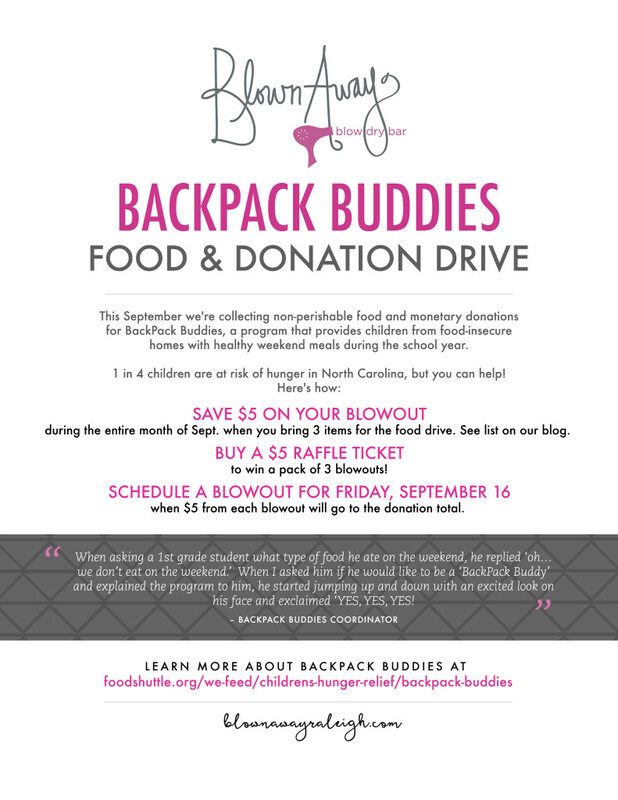 Throughout the month of September, we’re collecting monetary donations and food items for BackPack Buddies, a program that sends food-insecure children home with a backpack full of healthy meals and snacks for the weekend during the school year. Over 118,000 children (44%) in the Interfaith Food Shuttle service area applied for free or reduced price meals during the 2014-2015 school year (the most recent year of data available). 1 in 4 children are at risk of hunger in North Carolina. During the 2015-16 school year, 2,024 children were served 74,888 BackPacks at 67 sites across 7 counties. Both food donations and monetary donations help the program immensely. Monetary donations are great because the Food Shuttle gets great deals on the types of food they want, and can serve even more people. 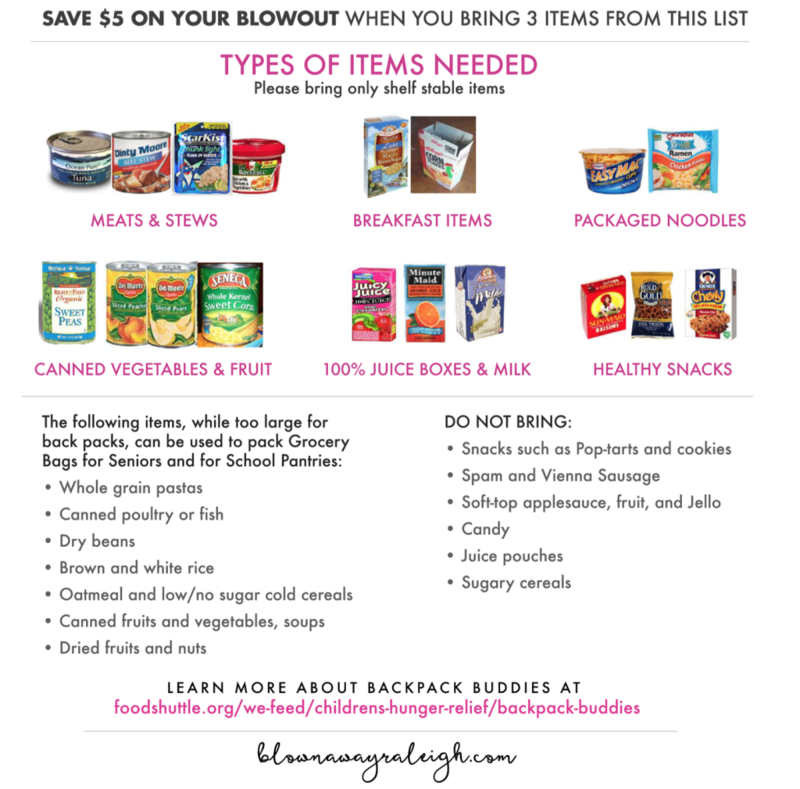 At Blown Away we’ve mixed up three fantastic ways for you to contribute this month, AND save a little on your blowouts. Here are the details! Can’t wait to see you this month! In order to save $5 on your blowout, bring 3 items in the categories from the list below. It’s important that we deliver nutritious foods that the Food Shuttle can use. We so appreciate all of your contributions. We KNOW our Blown Away clients are going to be super helpful!